Delivering an evidence-based school counseling curriculum can improve your program’s overall success – and gain increased administrative support. Learn about several elementary-level evidenced-based school counseling interventions that address critical student outcomes. 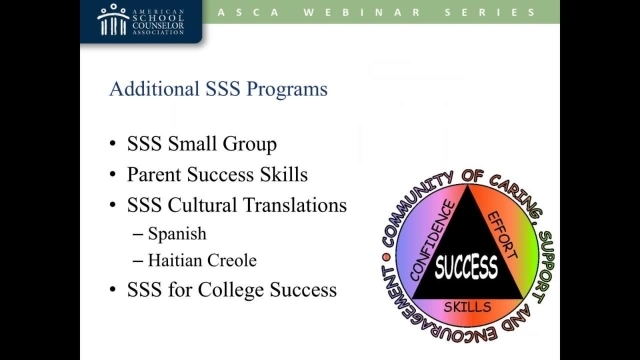 Hear how to implement school counseling lessons that support success for all students and how to share the learning outcomes with key stakeholders. Download accompanying handouts. Identify a variety of student data to use for determining program and intervention priorities. Implement elementary-level school counseling interventions that have evidence of efficacy. List benefits of using data-driven approaches and choosing evidence-based interventions. Explain a variety of strategies for disseminating results of interventions to administrators, parents, school board members and other educational stakeholders.